April 27, 2018 - Rescuers relocate an orangutan mom and baby in the Ketapang district of Indonesian Borneo. The relocation was done for the primates’ own safety. Human conflict with orangutans has increased drastically in recent years. 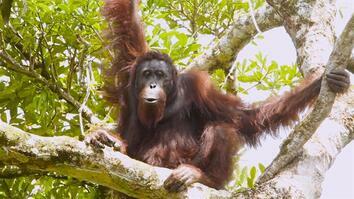 Deforestation has forced orangutans to search for food on local farms and plantations. Some farmers protecting their land have intentionally killed the island’s endangered species. The mother and her baby were rehabilitated and released back into the wild. 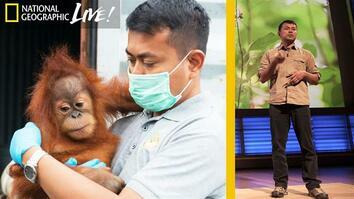 Rescuers relocate an orangutan mom and baby in the Ketapang district of Indonesian Borneo. The relocation was done for the primates’ own safety. Human conflict with orangutans has increased drastically in recent years. Deforestation has forced orangutans to search for food on local farms and plantations. Some farmers protecting their land have intentionally killed the island’s endangered species. 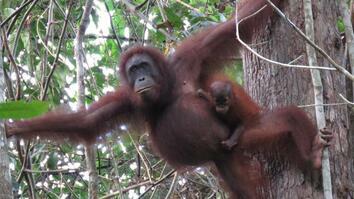 The mother and her baby were rehabilitated and released back into the wild.